This is old but it's good to be reminded. If you can't face giving up your favourite candles, experts suggest reading the labels. 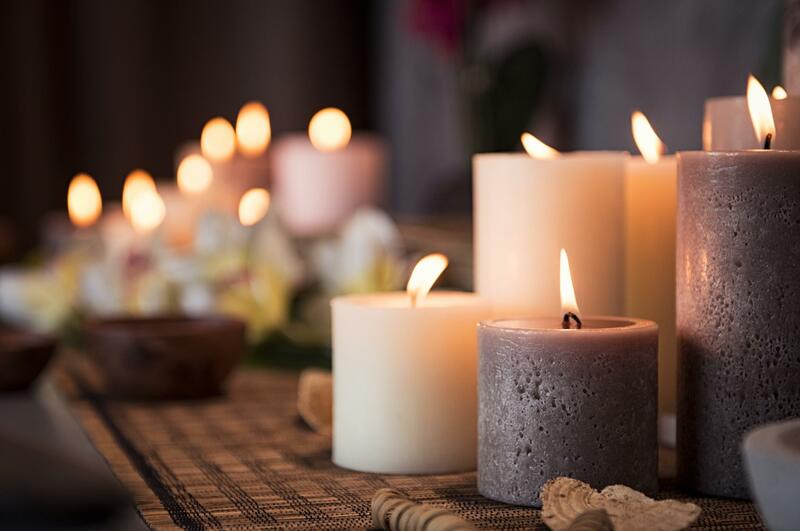 Natural wax candles that use soy are the cleanest, producing an estimated tenth of the soot normally created by a paraffin candle. And you should go for a candle that has a short wick, ideally made of cotton and missing a core to avoid producing large amounts of soot and pollution. You should also limit your burning time to reduce the amount of chemicals sent into the air by the candles, experts add. It is effective in fighting #arthritis and #gout. The leaves can be eaten fresh (about a cupful) as salad or like tea. For the decoction, boil a cup of clean chopped leaves in 2 cups of water. Boil for 15 to 20 minutes. Strain, let cool and drink a cup after meals (3 times day). Anyone tried? Did it help in your case? The ten (10) alternative herbal medicines recommended by the Philippines' Department of Health (DOH). How to live #healthy ? 10:00 â€“ 14:00 Best time to get sun exposure. Near the equator, up to 5 minutes only. Northern/Southern Hemisphere, 10â€“15 minutes only (depending on season). If you have darker skin, adjust by taking longer exposure. Option 3: Study options 1 & 2 above and adjust it accordingly to your specific scenario. Q: No lunch? No snacks? A: Lunch and snacks, especially midnight snacks, were not part of our daily eating cycle originally. Drinking water is what's important, not eating. If you really need to eat or you haven't adjusted yet, eat fruits. Apple, grapes, berries, banana, are good choices. Q: Sun exposure? That's bad! A: No. Sun exposure for 2 hours from 07:00 to 09:00 as our elders claim is actually the worst. The good rays of the sun has short wavelength than the bad rays which has long wavelength. 07:00 to 09:00, the long wavelength rays (bad) reaches our body much faster and in higher quantities. Exposure between 10:00 and 14:00 increases the quantity of good rays (the short wavelength) to our body. The key is the length of time. The closer one is to the equator, the less time one has to expose themselves. The farther one is, the longer they need to. Current season, climate, weather, should also be taken into consideration. During winter, for example, increase the time of exposure between 10:00 and 14:00. Skin colour and skin tone also plays a factor because a black skin colour or a darker skin tone blocks a lot of sun rays, both good and bad. Overexposure of good rays is not an issue. Our body shuts down Vitamin D production once it generates what it needs for the next 24 hours. Underexposure or the lack of it prevents our body from producing Vitamin D sufficiently. However, overexposure to bad rays is bad. This is another reason why sun exposure is worst from 07:00 to 09:00. Our body receives almost purely only the bad rays from the sun. Do not put on sun blockers. These products actually block almost all types of sun rays, including the good ones that our body needs. Simply time your exposure. For example, if you're near the equator, expose as much as your whole body around 12:00 for only 1 to 2 minutes. If you do it from 10:00 to 11:00 or 13:00 to 14:00, 4 to 5 minutes. There is no concrete guideline as there are factors to consider as was explained earlier. Be wise. Our body knows what's good for us. Be sensitive to your body. Listen to your brain. Q: Meal? As in full meal, heavy meal? A: That's up to you. Concepts like "breakfast is not a full meal" and "you should eat heavy meal during lunch only" are myths. A meal is a meal regardless if it's light, heavy, few, or full. If your idea of breakfast is 2 eggs and a 5 breads, and your idea of a lunch is 2 eggs and a cup of rice, what difference is there between the two other than calling the former as "breakfast"/"light eating" and the latter "lunch"/"heavy/full meal"? The same applies to the evening meal. Call it whatever you want, "supper" or "dinner", it doesn't matter. What matters is what you are eating, how you eat, and why you eat. Are you eating because you love to eat not because you're going to work? Are your choices because those tastes so delicious or because you need energy and stamina for the rest of your day? Morning and evening meals. That's all we need every single day. Lunch, snacks, and midnight snacks are not needed and is actually not good for us and our circadian rhythm (a.k.a. body clocks, yes, plural). As was mentioned above, if you can't avoid eating lunch and/or snacks, then go for fruits only. Lots of water is also a good alternative than eating lunch and snrcks. Your body will thank you. When the Dengvaxia disaster was first revealed, I was expecting the anti-vaxxers to jump on the bandwagon and use it fully, after all, it is a prime example of the whole anti-vaccine campaign. But they did not. Instead, they continued using unfounded claims like #autism comes from vaccines. This makes me wonder. 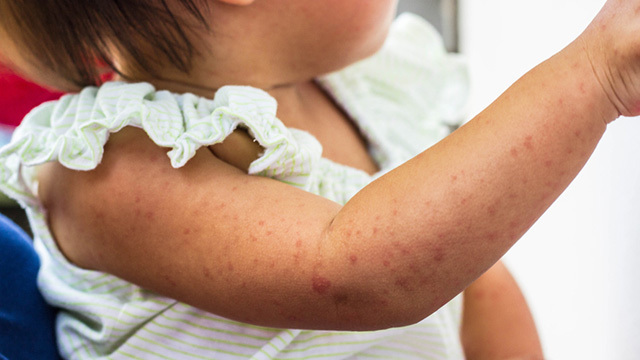 Is the anti-vaccine campaign for real? Here's a legitimate news about a vaccine actually causing more harm (and deaths) but it was ignored. So-called "news" about vaccines causing autism and whatever else without solid basis are picked-up and spread faster. Anti-vaxxers, why? Care to explain and enlighten us, or me? Disclaimer: I am neither anti nor pro vaccine.